After reading this (Oct 2014*) month’s Visiting Teaching Message, I also went ahead and read the First Presidency Message. While reading these 2 messages I realized I haven’t fasted in almost 2 years! Here’s the story. When I was first called to serve as our ward’s Young Women President I needed all of the help from heaven, to be more receptive to the Spirit, to help me remember the things I read for the purpose of teaching and inspiring these amazing daughters of God and of course to help me have an increase of love for them like the Savior does. So, I started to fast every Sunday. I didn’t know what a huge blessing that was going to be for my own personal life and the questions and blessings I desired for me and my family too. "How do you know what to say when you pray? 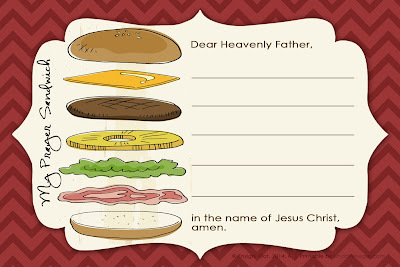 You can begin your prayers by saying, “Dear Heavenly Father,” and end them by saying, “In the name of Jesus Christ, amen.” What you say in the middle is your choice, just like choosing what goes in a sandwich. Choose the pieces you would like in your sandwich. 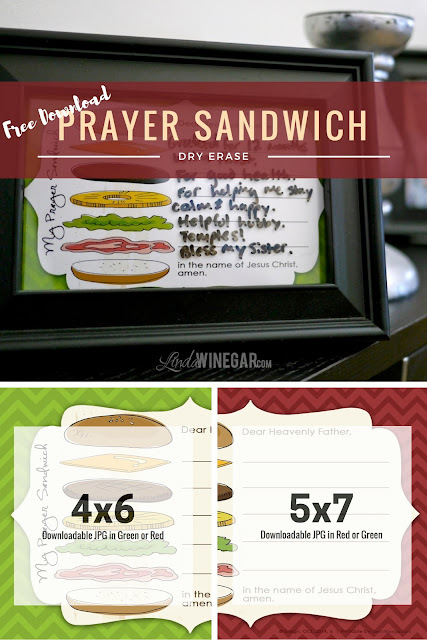 Write the things you would like to pray for next to them. You can say “I thank Thee” for blessings, talk about your worries, ask for blessings, or pray about questions. You can cut this sandwich out or make another. 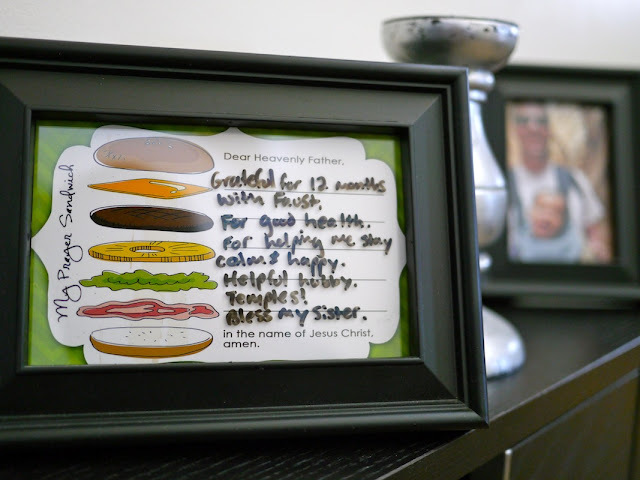 Hang it in your home to help you remember the things you can say in your prayers."